Choose the Rock Climb Slide and you'll have to be flexible. Features dual path through popup obstacles and a large climb & slide. Tina. 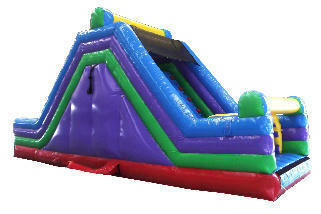 "Bounce Orlando is a fantastic company that offers great quality products at a competitive price. In addition the employees are very professional and courteous from the initial rental contract through delivery and setup." Jack. "I will absolutely recommend Bounce Orlando to everyone. If you wanna have fun, you need to call them! Every single person at my party loved it!"